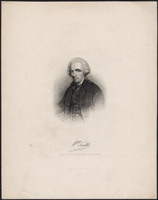 OSGOODE, WILLIAM, judge and politician; b. March 1754 in London, only son of William Osgood; d. there 17 Jan. 1824. The elder Osgood (his son added the “e” after 1781) was a Leeds hosier who moved to London and left an estate of about £20,000 when he died in 1767. A friend and patron of John Wesley, he sent William to the Methodist school at Kingswood, near Bath, for a classical education. Osgoode then attended Christ Church College, Oxford (ba 1772, ma 1777), entered Lincoln’s Inn in 1773 and, after a year in France, was called to the English bar on 11 Nov. 1779. In that year he published Remarks on the law of descent, a critique of Sir William Blackstone’s Commentaries on the laws of England. He did not practise in the circuit courts, either because a hesitation in his speech made him an ineffective barrister or because he was not dependent on his fees as a lawyer. He appears to have accepted no common-law briefs, but gained a reputation as a draftsman in the courts of equity. There is no evidence to support the family tradition that he was an intimate of William Pitt; and the story that he was a natural son of George II is without foundation or plausibility. He had enough influence in Whitehall to be appointed first chief justice of Upper Canada (31 Dec. 1791), with an undertaking that he could expect to succeed the ailing William Smith* in the same post at Quebec. It was as his nominee that John White* became attorney general for the upper province. 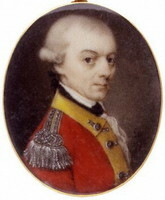 Although Osgoode failed in an attempt to nominate his own replacement in Upper Canada in 1794 when he moved to Quebec, he retained the good opinion of successive secretaries of state for the colonies until 1801; and he was to keep up a frankly partisan commentary on his fellow officials at Quebec in private correspondence with the under-secretary, John King. In his application of English legal models to Upper Canada, Osgoode was in some ways discriminating. 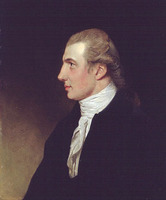 He gave attention before leaving England to “the different Arrangements it may be needful to make in attempting to simplify and adapt the Artificial practice & proceedings of English Jurisprudence to the circumstances of an infant Colony.” It was, however, from English lawyers that he sought advice. His concern was not with frontier conditions but with the unreformed procedure of the English common-law courts. He was an accomplished equity lawyer in a period when the Court of Chancery and the equity jurisdiction of the Court of Exchequer had done far more than parliament to reform the law; he thought those courts of equity more just in their law and more reasonable in their procedure than the common law courts of common pleas and king’s bench; and he did not mean to introduce into Upper Canada what he regarded as anachronisms in England. In drafting his first provincial statute, therefore, an act in 1792 to adopt English civil law, he retained the simple writ of summons and the proceedings already in use in Quebec after 1763. The act did not adopt the English bankruptcy or poor laws, nor the law relating to ecclesiastical rights and duties. He may have been in favour of limiting imprisonment for debt to cases of fraudulent evasion, although the change was not included in the act. Never a finicky lawyer, he did not think it necessary to legislate the adoption of English criminal law, the proclamation of 7 Oct. 1763 having done so in general terms. He considered it enough to adopt recent English extensions of the right of trial by jury. His successor, John Elmsley*, would think differently in 1800. Similarly, he was of the opinion that simple letters of declaration issued with title deeds were enough to ensure the legality of land grants made before 1791. Although he had set three as a quorum for the Executive Council, he and Russell sometimes conducted its business alone. 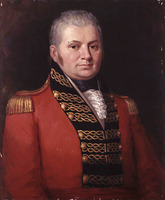 The greatest compromise that he accepted in Upper Canada, however, was forced upon him by the House of Assembly on the initiative of Cartwright. Osgoode’s marriage bill of 1793, intended merely to validate existing marriages, was amended to allow justices of the peace to perform marriages whenever there were fewer than five Anglican clergymen in a district, none of them within 18 miles. Illiberal as those terms were for a province with a minority of Anglicans, a barrage of complaints against them did not force a change until 1831. In practice they allowed what amounted to civil marriage so long as the Anglican form of service was followed. 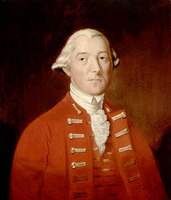 The Judicature Act of 1794 was the legislation by which Osgoode most hoped to set his mark on the province. It abolished the district courts of common pleas set up in 1788, replacing them with a single court of king’s bench as the superior court for the whole province. An accompanying bill set up new district courts to settle contract disputes, not involving land titles, of from 40s. to £15. An earlier act had on the assembly’s initiative empowered any two justices of the peace to hear cases involving less than 5s. A court of probate with district branches (surrogate courts) had also been introduced to settle the inheritance of estates. There was no provincial court of common pleas and no court of chancery. The Judicature Act had a difficult passage through the Legislative Council, where it was attacked as too elaborate, centralized, and expensive for a province still thinly settled, and also because it put the chief justice in the position of hearing appeals from his own decisions. It was, however, as simple an arrangement as Osgoode and Simcoe would consent to. Its excessive centralization was mitigated from 1797, when the writs necessary to begin an action in king’s bench could be obtained from a district rather than the provincial capital. In the short run at least it was a visionary scheme: even its central establishment – the chief justice, two puisne judges, an attorney general, a solicitor general, two sheriffs, and a clerk of the crown and pleas – could not be staffed by trained lawyers. Besides Osgoode and White, Powell and Walter Roe* of Detroit were the only lawyers in the province. Nevertheless, Osgoode’s measures did regularize and extend the jurisdiction of the untrained justices of the peace and district magistrates who settled most of the legal disputes in the province. These were Osgoode’s main pieces of legislation during his two years in Upper Canada, the acts to abolish slavery and organize the legal profession being the work of White. But Osgoode was also a member of both the Executive Council (sworn in 9 July 1792) and the Legislative Council (sworn in 12 July 1792 and speaker from 10 September). He was the only member to attend all the meetings of both bodies over the next two years. 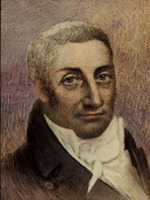 In the Legislative Council he was in effect manager of government business, its chief defender against the opposition of Cartwright and Robert Hamilton*. Although his commission as chief justice at Quebec was issued on 24 Feb. 1794, he remained in the upper province for the next summer’s meeting of the legislature. He arrived at Quebec on 27 July, barely three weeks after his last meeting of the Executive Council at Newark. 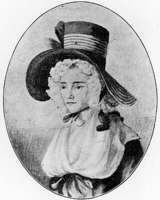 He was again a member of both councils (sworn in 19 Sept. 1794), and again speaker of the Legislative Council. He began his unhappy career at Quebec by chairing the Executive Council’s committee on land grants. He had the misfortune to deal with two governors, Lord Dorchester [Guy Carleton*] and Robert Prescott*, who had grown old and irascible, but he himself became a prickly and vindictive character. 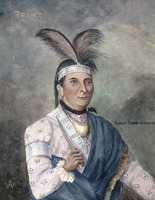 Simcoe did not help matters with Dorchester by offering Osgoode as his spokesman on two disputed questions, the lease of the Six Nations’ lands [see Thayendanegea*] and the provisioning of troops. 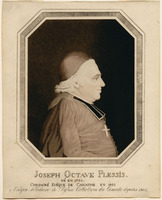 It was, however, with Prescott that Osgoode came to an open and bitter quarrel. The land grants of Lower Canada were in confusion from lax administration, lack of surveys, and the prevalence of unauthorized settlement. The Executive Council’s solution was merely to rescind township grants not already confirmed and to regrant the land. Prescott thought this too favourable to land speculators, among whom he included members of the council; his new regulations recognized actual settlement and even pending applications if they had been properly recorded; the rest of the lands were to be put up for sale. These regulations had been approved by the secretary of state, the Duke of Portland, when Prescott asked the Executive Council to advise him on their publication. The council’s report of 20 June 1798, drafted by Osgoode, objected both to publication and to the regulations. Prescott then published them with the council’s objections and with a foreword, highly critical of the council, by the disappointed land applicant William Berczy*. Osgoode was outraged by the publication, with its attack on his character by the “miserable Alien” Berczy, and perhaps most of all by the resulting personal incivilities. “How it will be relished at Home,” he wrote prophetically, “remains to be seen.” Prescott, at odds with most of his subordinates, was recalled to explain his conduct and never returned. 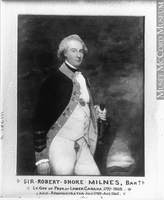 Robert Shore Milnes*, who came out in June 1799 as lieutenant governor, found Osgoode little easier to deal with. In May 1800 the chief justice demanded the dismissal of Pierre-Amable De Bonne* from the bench for adultery, absenteeism, and faulty court procedure. Unwilling to stir up further bitterness by a public inquiry, Milnes refused. When in 1801 the assembly passed an act to remit arrears of lods et ventes on crown lands, Osgoode objected: it was, he wrote, “an established rule as well of decency as of policy” that such concessions ought to be made by the crown, not the legislature. The assembly’s request for a return of crown property held en roture seemed to him an unwarrantable interference with the royal prerogative; and he made it a grievance that the Executive Council was not forced by the secretary of state to record his protest in its minutes. He had already offered to resign on condition of receiving an £800 pension. When that was confirmed, he left Quebec in the summer of 1801, his resignation taking effect on 1 May 1802. At Quebec Osgoode seems never to have been the charming and indefatigably industrious public servant that he was in the upper province. Prescott never accused him of being a land speculator, only of being vain and idle enough to act as the speculators’ stalking-horse on the Executive Council. Since Osgoode received grants totalling nearly 12,000 acres, the governor might have gone farther in his accusations. Osgoode’s disapproval extended beyond his colleagues on the bench and in the councils. He did maintain good relations to the end with Bishop Mountain, but almost the only other living things to win his approval in Lower Canada were the horses, “the best little Creatures in the Universe.” Although he had shrunk from the first sight of the black cap among his judicial robes, he even became a harsh judge. He had no choice in July 1797 about condemning David McLane* to death, nor about decreeing life imprisonment for McLane’s merely foolish accomplice, Charles Frichet; but he did not recommend mercy for either of them, and poor Frichet’s sentence was remitted without his advice. Milnes wrote that Osgoode would not be content except as “the sole adviser to government.” Certainly Osgoode never again enjoyed so large a share of confidence as Simcoe had given him, and never worked as well without it. Back in London Osgoode lived fashionably in apartments formerly occupied by the Duke of York, but he did not receive another judicial appointment. 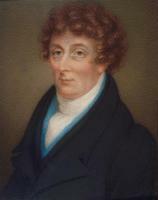 He was able to return to his interest in procedural reform as a member of the royal commissions on the courts of law which eventually led in 1832 to the Uniformity of Process Act. Osgoode Hall, first built in 1829–32 as the headquarters of the Law Society of Upper Canada, was named after him. His portrait by George Theodore Berthon* hangs there. [The main collection of Osgoode’s papers is at the Law Soc. of U.C. (Toronto) (mfm. at AO). There are also letters from and about him in the papers of John Graves Simcoe (locations appear in his biography in DCB, vol.5), and Peter Russell (AO and MTL), and a few in those of Samuel Peters Jarvis (AO and MTL) and William Dummer Powell (AO, MTL, and PAC). Osgoode was an assiduous but not a chatty correspondent. His letters, except for those to Jacob Mountain (in the Bishopthorpe papers at the ACC-Q) and to his cousin Ellen Copley (in an original collection of Osgoode correspondence at the AO, MU 3705), do not give much news of himself or what he was doing. Apart from his formal protests – a habit he developed late in life – they are, however, the main evidence for his opinions on questions of public policy and on his colleagues. Some of Osgoode’s letters from Upper Canada have been printed: “Letters from the Honourable Chief Justice William Osgoode: a selection from his Canadian correspondence, 1791–1801,” ed. William Colgate, OH, 46 (1954): 77–95 and 149–68; “Three letters of William Osgoode, first chief justice of Upper Canada,” ed. A. R. M. Lower, OH, 57 (1965): 181–87. See also the printed Corr. of Hon. Peter Russell (Cruikshank and Hunter) and Corr. of Lieut. Governor Simcoe (Cruikshank); Gwillim, Diary of Mrs. Simcoe (Robertson; 1934); Life and letters of the late Hon. Richard Cartwright . . . , ed. C. E. Cartwright (Toronto and Sydney, Australia, 1876); Town of York, 1793–1815 (Firth); the calendars of the “State papers – L.C.” and “State papers – U.C.,” both in PAC Report, 1891; “Lower Canada in 1800,” PAC Report, 1892: 9–15; and L.C., Executive Council, Extract from the minutes of council, containing his majesty’s late regulations relative to the waste lands of the crown . . . (Quebec, 1798), which has an introduction signed by William Berczy*, although Osgoode suspected that it had been written by Prescott’s secretary, Samuel Gale. S. R. Mealing, “OSGOODE, WILLIAM,” in Dictionary of Canadian Biography, vol. 6, University of Toronto/Université Laval, 2003–, accessed April 20, 2019, http://www.biographi.ca/en/bio/osgoode_william_6E.html.